The U.S. Department of Transportation (DOT) drug testing program will soon require testing for four semi-synthetic opioids (i.e., hydrocodone, oxycodone, hydromorphone, oxymorphone). The change is effective January 1, 2018. What does this mean for the employees? If you test positive for any of the semi-synthetic opioid drugs, then as with any other drug test result that is confirmed by the laboratory, the Medical Review Officer (MRO) will conduct an interview with you to determine if there is a legitimate medical explanation for the result. If you have a valid prescription, you should provide it to the MRO, who will determine if the prescription is valid. If a legitimate medical explanation is established, the MRO will report the result to your employer as a ‘negative’. If not, the MRO will report the result to your employer as ‘positive’. Do I need to tell anyone about my prescribed medications? Your employer may have a policy that requires you to report your prescribed medications to them. So check with your employer. If your job function has DOT-regulated medical standards (truck/bus driver, airline pilot, mariner), the DOT agency regulation may require you to report your prescribed medications to those who approved your medical qualifications. What should I tell my prescribing physician? If you are taking any prescription medications, consider this to be a reminder to have a conversation with your prescribing physician to discuss your safety-sensitive work. Be proactive in ensuring that your prescribing physician knows what type of transportation-related safety-sensitive work you currently perform. For example, don’t just provide a job title but describe your exact job function(s) or ask your employer for a detailed description of your job function that you can give to your prescribing physician. This is important information for your prescribing physician to consider when deciding whether and what medication to prescribe for you. It is important for you to know whether your medications could impact your ability to safely perform your transportation-related work. Will the MRO report my prescribed medication use/medical information to a third party? Historically, the DOT’s regulation required the MRO to report your medication use/medical information to a third party (e.g. your employer, health care provider responsible for your medical qualifications, etc. ), if the MRO determines in his/her reasonable medical judgement that you may be medically unqualified according to DOT Agency regulations, or if your continued performance is likely to pose a significant safety risk. The MRO may report this information even if the MRO verifies your drug test result as ‘negative’. As of January 1, 2018, prior to the MRO reporting your information to a third party you will have up to five days to have your prescribing physician contact the MRO. You are responsible for facilitating the contact between the MRO and your prescribing physician. Your prescribing physician should be willing to state to the MRO that you can safely perform your safety-sensitive functions while taking the medication(s), or consider changing your medication to one that does not make you medically unqualified or does not pose a significant safety risk. 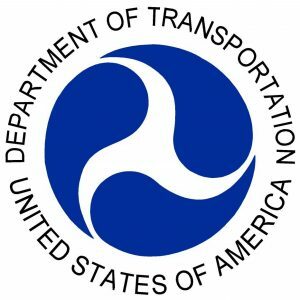 NOTE: This document informally summarizes some of the effects of recent changes to the Procedures for Transportation Workplace Drug and Alcohol Testing Programs that are important for transportation employees, but it should not be relied upon to determine legal compliance with those procedures.